Imagine if the Grinch was a drama critic. Now imagine that same critic broke his hip in your home and he blames you for it, so hedecides to subject you to his company until he is fully healed. This is the tragic comedy of “The Man Who Came to Dinner” – tragic for the family that has to live with this acerbic, angry critic Sheridan Whiteside (Monty Woolley), but a comedy for the audience as he takes every opportunity to throw a thesaurus’ worth of insults at the family. This almost feels like a Shakesparian comedy at times, especially through Woolley’s performance, practically bathing in the suffering of the family without ever coming across as maniacal. 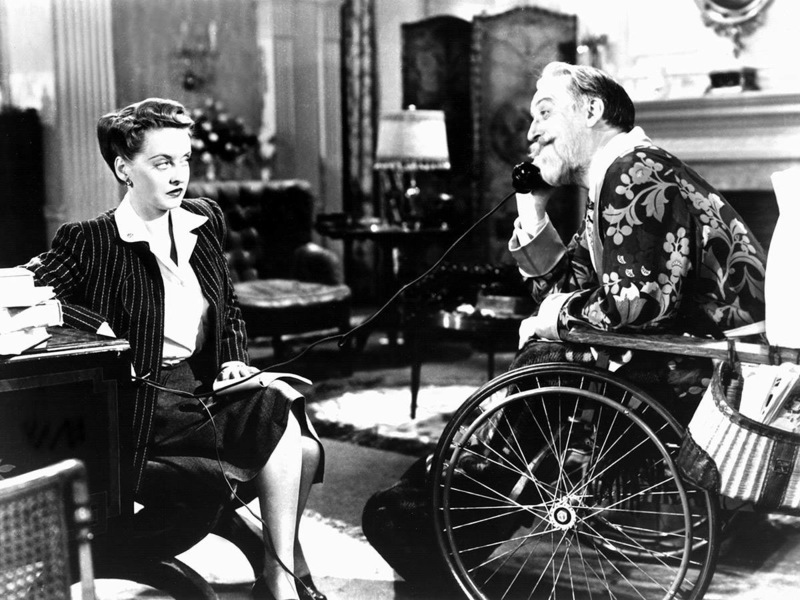 But when you throw in Bette Davis’ role as his secreatary with a bite of her own, then you get a masterfully crafted film filled with wit, charm and even suspense.